I seem to have developed a trainer addiction. As a girl who once owned one pair of trainers that I would wear on the odd occasion that I did some exercise, I’ve now turned in to some one who wears them practically every day. 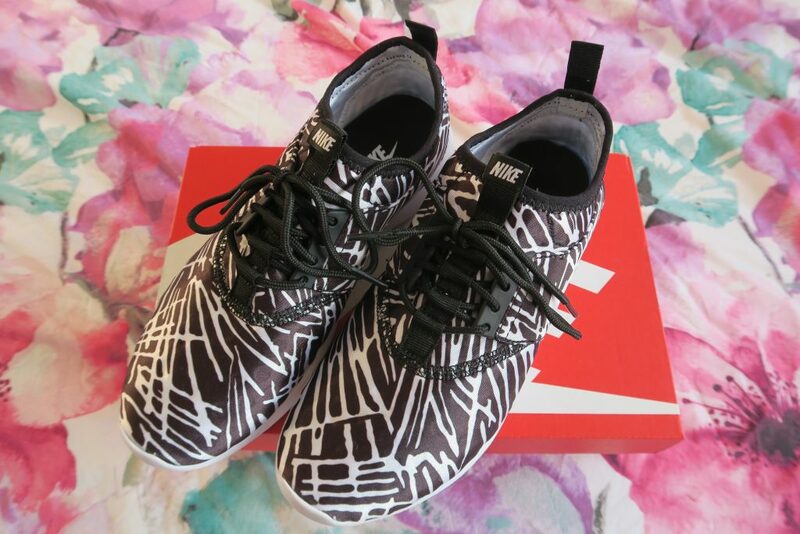 It was this pair of Polkadot Nike Juvenates that won me over and since then my addiction has grown further. They are so light, so comfortable and I like to think stylish too! 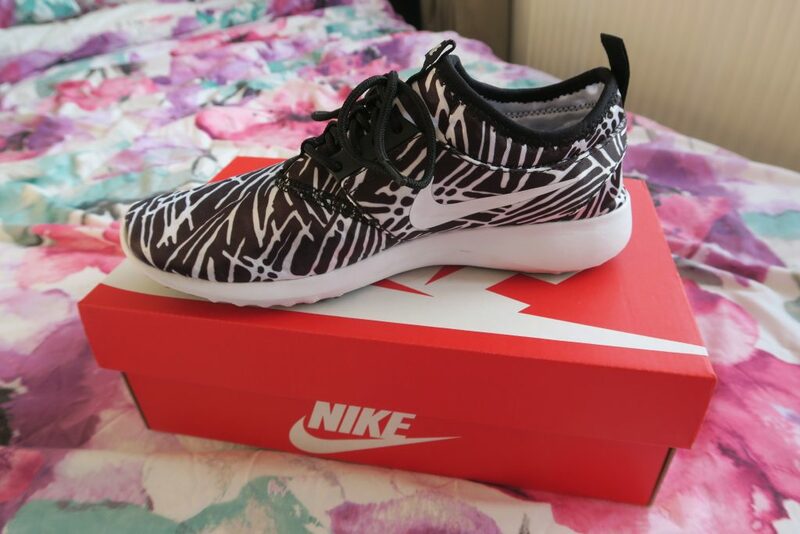 The pair I bought most recently was this satiny, zebra print juvenate. 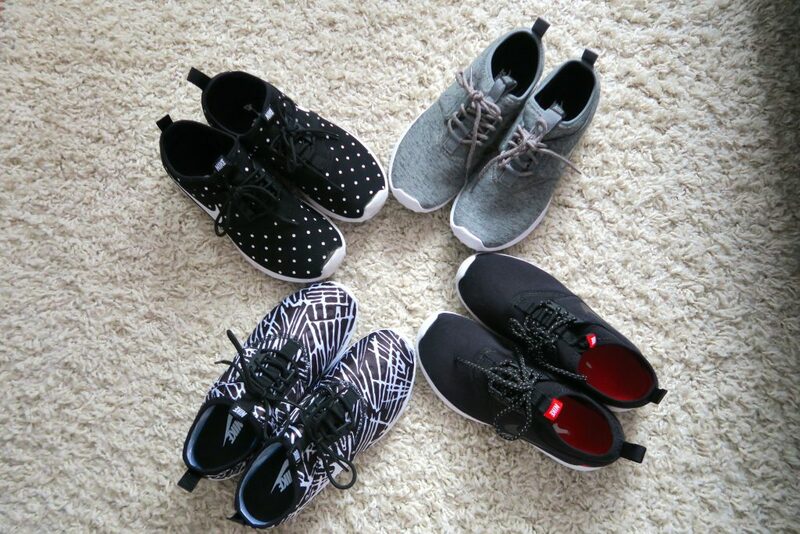 The best thing about this range of shoes is that they come in some many different styles and colour combinations. Nike are regularly adding new designs to their arsenal and the last time I checked you could get this design in blue and red, green and blue, the list goes on.. If you’re looking for a flexible, breathable, packable shoe then this is the one. I find the fit is true to size and weirdly I even feel like I can walk faster when I wear them. 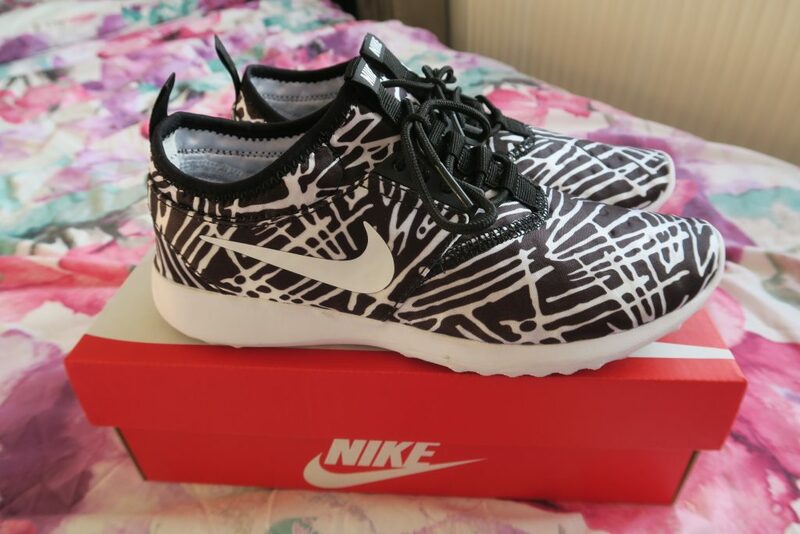 This version of the shoe was £75 but Nike run offers on them all the time. I got a black fleecy pair (pictured above) for £30 when they were running some discounts on the site.